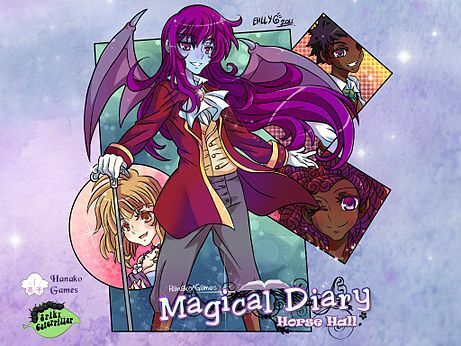 Magical Diary, released in 2011 for PCs and Macs, is a visual novel fantasy video game following a freshman girl attending a magic academy. Magical Diary uses anime-style art but is English language. Players read through the game’s story in a “Choose Your Own Adventure”-esque format, making decisions at key points to affect the overall outcome. Players can customize a female student. Through the character of their choice, they make new friends, learn spells, take exams in dungeons, run for student council, and date.